We have kept the classes relatively small for an optimal learning environment. There are also supplementary lessons for beginners who want to strengthen the basics and for students who feel like they cannot keep up with their peers. Our classes consist of students of different nationalities and the only common language they share is Japanese; this results in the students having to communicate in and practice their Japanese. At OBKG, we will guide students who wish to attend universities so that they can have a 100% passing rate on their entrance examination. Four hours per day, from Monday to Friday. Lesson hours are 20 hours per week and over 800 hours per year. Upon admission, students will have a placement test to determine their Japanese language level. The curriculum will start with greetings so students can interact with the people they meet in their daily lives. They will then move on to learn simple grammar, sentence structures, fun conversations, basic vocabulary, Kanji, listening comprehension and writing. The classes will be practical and enjoyable, designed to meet students’ goals in learning basic Japanese language. For university entrance preparation, students will have full-scale lessons on grammar and sentence structures, learn and practice more Kanji characters, vocabulary, phrases, listening comprehension, reading comprehension, pronunciation, expressions, and writing papers, and start preparing for JLPT N1 level. 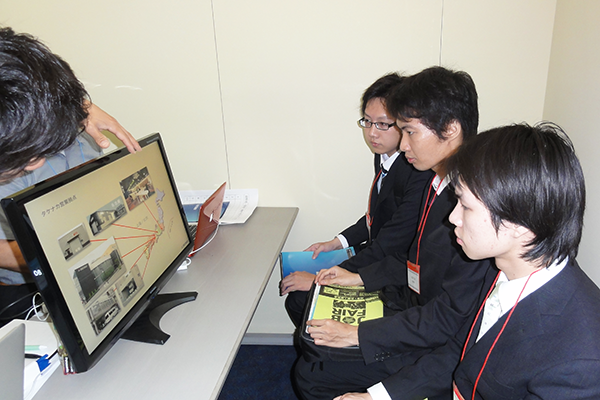 Learning materials will include Japanese newspapers, books on various topics, and literary documents. They will learn new vocabulary used in various areas of study to keep up with lessons given in Japanese language and acquire the knowledge needed to attend university or other tertiary education organization. They will also learn to write research papers with the guidance of our teachers. Form teachers will have one-on-one sessions with students to talk about their objectives and goals for the future. OBKG has a high rate of continuing education and is at the top compared to the rest of the nation. 100% of our students who decided to attend Undergraduate and Graduate schools are able to succeed. To look at past achievements, please click here. For students who wish to work in Japan, it is necessary to obtain JLPT N2 Level or BJT J2 Level (or higher). At OBKG, we conduct BJT preparation classes, provide guidance on interview and writing CV, and teach business manners for students who wish to find employment. EJU is a test that is necessary for students who wish to study at the undergraduate level, graduate level, or at a vocational school. In the past two years, the test has become more focused on the reading comprehension section and the level of difficulty has been increasing. At OBKG, preparation for the EJU is incorporated into daily lessons. Starting from 1 month before the examination date, students are drilled with practice questions so they can learn how to process information quickly, use the process of elimination to answer multiple choice questions, take quick notes during listening comprehension, write short essays on various topics, etc. Our teachers come together to analyze past questions and come up with the strategy for the students, so they can understand the concepts easily. We also conduct optional lessons for students who wish to prepare for other EJU subjects (Mathematics, Japan and the World, Chemistry, Physics). We believe these are why the average score at OBKG is higher than the average national score. 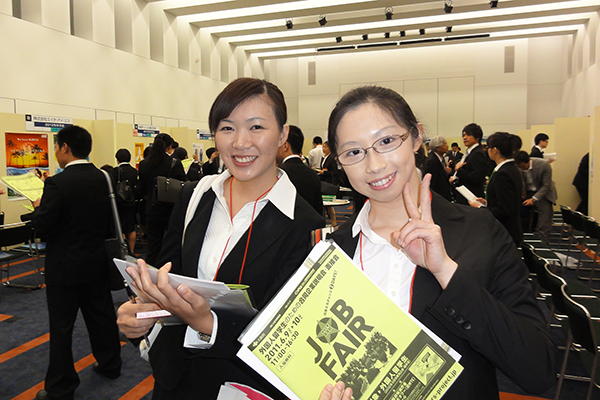 JLPT is important for students who wish to continue studying and for students who wish to work in Japan. It is the standard for measuring Japanese language level for foreign nationals living in Japan. For the second year in a row, many of our students have passed the N1 level in July (the first of 2 examinations held every year). We conduct mock tests at the N4/N5 level in school for students in the Elementary Japanese classes, and 2 out of 3 students obtain a score of above 90%. It is important for students to have strong basic skills in order to be able to improve and pass the N1 level test, which is why we prepare the students from the first steps. Our curricula involve preparing students through intensive practice leading up to the day of the examination. We believe that through practice and doing mock tests, students will improve their ability and get closer to achieving perfect scores. 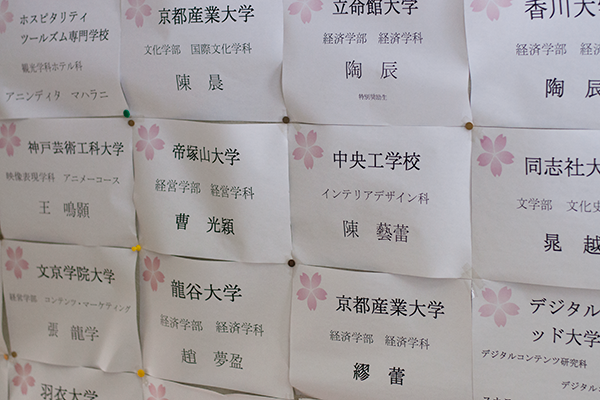 Every year at OBKG, there is at least one student who obtains a perfect score (180/180) on their JLPT N1 level test. BJT is a test for foreign nationals who wish to work in Japan. Almost all classes taught at Japanese language schools are geared toward preparing students for university and Graduate school, so students who wish to work often have to put in more time and effort to practice business Japanese and appropriate business manners. BJT classes at OBKG are often small, so teachers can concentrate on each student and form an individual plan. We have seen many students who obtain high scores successfully find employment, and we hope to have many more students succeed. Below are outlines of schedules for students who wish to apply for Undergraduate and Graduate studies. The above table shows an example of the curriculum for a 2-year course. At OBKG, we always put our best efforts to guide the students and put in just as much focus on planning our lessons. Form teachers, consulting teachers, and the principal will work together with each student to practice for their university entrance interview, choosing universities, writing a research plan or essays for university entrance application, and throughout the process of application. We spend at least 10 hours guiding each student. Starting from when students are admitted to OBKG, we form detailed lesson plans and consistently work toward the students' goals, keeping lapses to a minimum. We have had many students express their gratitude to the teachers, principal, and the school. The above table shows an example of the curriculum for a 1 year 6 months course. Although the amount of time to prepare for University is shorter than the 2-year course, we have prepared a dense curriculum so students can go to their Universities of choice. Form teachers, consulting teachers, and the principal will work together with each student to practice for their university entrance interview, choosing universities, writing a research plan or essays for university entrance application, prepare for interviews, and throughout the process of application. In order to achieve the students' goals, we not only put our best in improving their Japanese language skills, we also put emphasis on guiding students in writing their University application essays. Students will also have a lot of interview practices and see rapid improvement in their interviewing skills in the last 6 months of study. Below are lists of Universities, 2-Year Colleges, and Vocational Schools that our students had been accepted to. Below is a list of companies that our students have been employed at.